This week’s challenge in The Real Food Experience is to include healthy fats in your diet. It sounds like a fairly straightforward task, but once you start reading about dietary fat and trying to find the best advice, it gets confusing. Is saturated fat bad for you? Is cholesterol bad or good? Is coconut oil or canola oil “healthier?” You can find experts on both sides of those questions – and just about every other question you might ask about fat in your diet. Our bodies need fat from food. 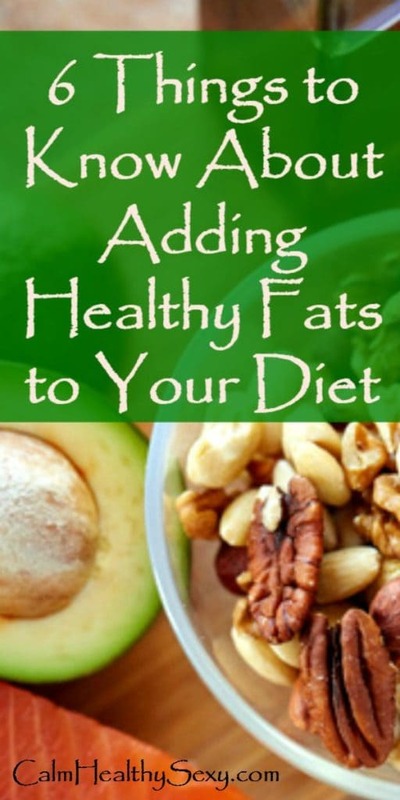 Fat from food, known as dietary fat, performs functions essential to health and life. We can’t live without it! Fat provides energy that runs every system in our bodies, helps regulate metabolism, plays key roles in the structure and function of cells, promotes a healthy brain (and brain development in children), enables the fat-soluble vitamins (A, D, E, and K) to work, promotes blood clotting, and reduces inflammation. We need it, and in many ways it’s good for us. Some fats can only be obtained from food. Our bodies make some of the fats we need, but not all of them. For example, we don’t produce omega-3 and omega-6 fatty acids, which play important roles in controlling inflammation, helping blood clot, maintaining healthy blood pressure, and ensuring the health of our brains. The typical Western diet is high in omega-6 and low omega-3, and many people could benefit by adding foods high in omega-3, such as albacore tuna, salmon, ground flax seed, and nuts (especially walnuts) to their diets. Fats are high in calories, but that doesn’t make them “bad.” Yes, fats contain a lot of calories, twice as much as the same amount (by weight) of carbohydrates or protein. So people who are trying to lose weight need to monitor their fat intake, because it’s easy to eat a lot of fat calories in a short period of time. But, that doesn’t mean we should avoid or severely limit fat. Not only do our bodies need fat to function, but it may also help us lose weight. One way it does that is by making food taste better and helping us feel full longer. Low-fat or “diet” foods often replace fat (which is flavorful) with sugar, and foods high in sugar often leave us feeling hungry again within a very short time. Monounsaturated fats are good. Most experts agree that monounsaturated fats help to increase good cholesterol and decrease bad cholesterol, promote blood clotting, and regulate blood sugar. These fats are found in high quantities in olive oil, avocados, high-oleic sunflower oil, peanut oil, peanut butter, and other nuts and seeds, and most people could benefit from adding more of these foods to their diets. Saturated fat is confusing. The “expert advice” on saturated fat, from nutritionists, leading health organizations, and the federal government, is to limit it in our diets. Saturated fat most often occurs in animal products (coconut oil is an exception). and most experts say to avoid fat in milk, other dairy products, and meat, because numerous studies have shown negative health effects of diets high in saturated fat. But….some researchers and health experts are beginning to question that advice. Some of them believe that saturated fat added to processed foods, rather than the saturated fat that occurs naturally in some foods, is the problem. 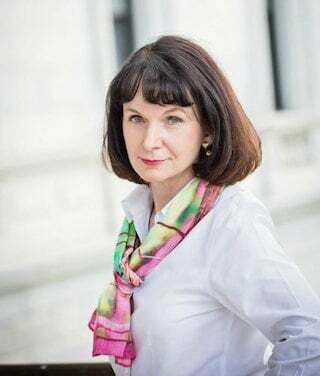 Others, like Christiane Northrup, M.D., a leading authority on women’s health, go even further. She says that sugar, not saturated, fat is the problem, because the primary source of saturated fat in most people’s diets is processed food that’s high in sugar. Trans fat is bad. Almost all nutrition experts agree that trans fats cause health problems and should be avoided. Trans fats occur in liquid fats (usually vegetable oils) to which hydrogen atoms have been added (hydrogenated), making them solid or semi-solid. Any fat labelled hydrogenated or partially hydrogenated, or referred to as shortening, contains trans fats. Eat as much real, whole food as possible – and avoid processed food as much as possible. Nutritionists are beginning to believe that the overall quality of our diet, not the amounts of one or two nutrients, determines whether our diet promotes or damages our health. And the fat we eat should come from real foods, eaten as part of a balanced diet. Eat primarily vegetables, fruits, whole grains, beans, nuts, olive oil, avocados, and the best quality chicken and beef you can afford. Use the best quality dairy products you can afford, at the fat level you choose. For example, I drink 2% milk, use small amounts of butter, eat 2% Greek yogurt almost every day, and add organic half and half to my coffee. And I buy organic dairy products whenever possible. Avoid shortening and deep-fried foods. Avoid packaged baked goods. Whenever possible, make your own cookies or cakes with real food ingredients. Use cold-pressed extra virgin olive oil for salad dressings and marinades and to cook at low temperatures (it smokes at high temperatures). Consider using coconut oil for cooking at higher temperatures and some baking. It is a saturated fat, but many people consider it to be a healthy fat. Need more ideas? Download our free ebook, 24 Quick and Healthy Family Meals, which includes tips for quicker and easier healthy food prep. Have you made changes to improve the quality of fat or alter the amount of fat in your diet? Please share them in the Comments – I would love to hear from you. Great article Gaye! I really feel like we can eat just about anything and be healthy as long as it’s not processed food. I try not to focus on specific nutrients, but to instead look at overall nutrition by eating a wide variety of colorful whole foods. I like to use olive oil for low temperatures and coconut oil for higher temps. Everything in moderation…………. Thanks Christina. I’m with you, (almost) all things in moderation. This is a good article on a confusing subject. My husband has high cholesterol according to the medical standard and was told to eat a low fat, low cholesterol diet. However, our nutritionist disagrees. She claims that carbs are the real culprit, not fats, in keeping cholesterol at a healthy level. She says cholesterol is produced by the liver and necessary to repair cells. A site my husband likes is authoritynutrition.com because it cites the research behind their articles. He also read a book called The Cholesterol Myth and we both read Wheat Belly. Both are very interesting books. We currently use olive oil, grapeseed oil, butter and coconut oil. We use organic oils to avoid the solvents used in processing non-organic oils. Hi Sharon – It’s a bit discouraging to have your doctor say one thing and your nutritionist another! The advice on fats is very confusing, but I’m becoming very skeptical of the low fat/low cholesterol advice. Newer research just doesn’t seem to support it. I’m glad you and Rick are finding some good information that’s backed up by research.